I've actually had someone throw a book at me? Why would they do that? You've probably noticed that people often get mad when things don't go their way. How we deal with our anger is dependent on a lot of things including, but not limited to, family, friends, hormones, and past experiences. You just never know what is going on in someone's life. In fact, it's pretty safe to assume that anyone who gets that upset is living a pretty unhappy existence. As librarians, we do small things every day to turn someone's life around but, in the case of this customer type, chances are you will not be making much of an impact. For the average serial angry customer, know that it's not personal and handle the transaction like any other. After your encounter with this person, just be thankful that you are you and not them. Book throwing, irate customers are usually a rare find. Most people restrict their anger to loud voices but, every once in a while, you may get a slew of profanity and some objects being flung around. THIS IS NOT ACCEPTABLE! Although our jobs as librarians require us to help everyone without judgement, that mandate stops short at being abused. You should always feel empowered to end a transaction that has taken a turn for the worse. Use language that shows you are willing to help, but only if their behavior improves: "I want to help you but I cannot if you continue to use that language." When you show your authority, one of two things will happen. Either the person will back down, having realized that they cannot run you over, or they will continue to inflict abuse. You've given a warning and that's all you need. When someone takes it upon themselves to ignore your warning and continue their abuse, you reserve the right to cease conversation immediately and tell them to leave. The important thing in any situation like this is to keep your calm, be firm and polite, and do not allow the customer to drag you down to their level - and they will try. 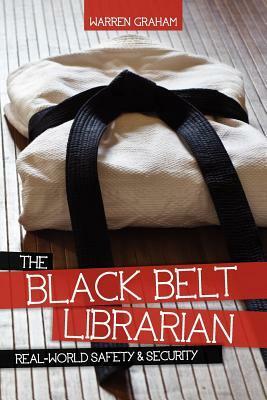 If you haven't read Black Belt Librarian by Warren Graham, then I suggest this as a great jumping off point. I also suggest looking into your library's rules for customer behavior. Having policies which cover the expectations of customer behavior can be helpful when you encounter a situation like this as it provides support for your actions. 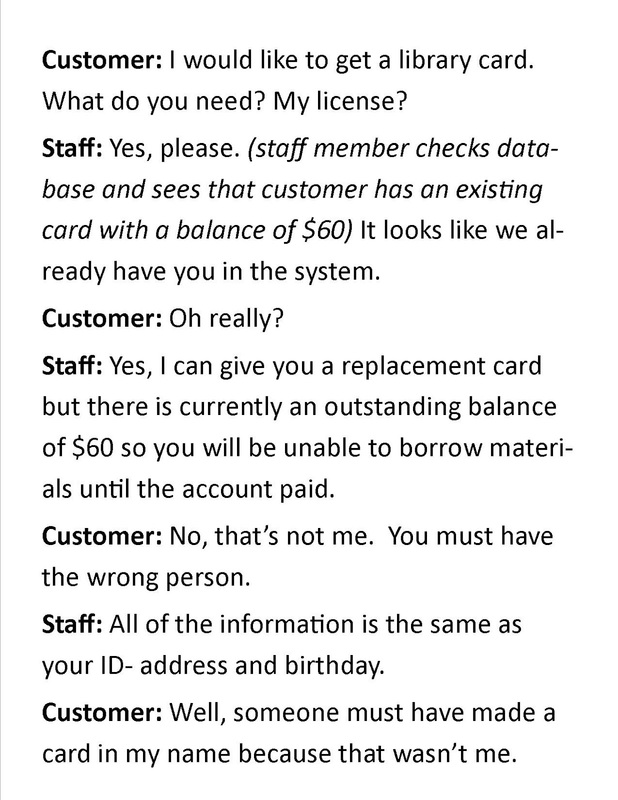 Why do customers try to pull one over on us and get another library card when they already have an account with an outstanding balance? In my experience, the best customer service comes from those who think the best of people. When we assume that customers are "trying to pull one over on us" then we automatically begin to use defensive behavior. This doesn't mean that thinking the best of people means you have to be naive - it only means you take an offensive approach. I've seen both of these scenarios play out and I'm sure you can guess which one ended up with a better outcome. 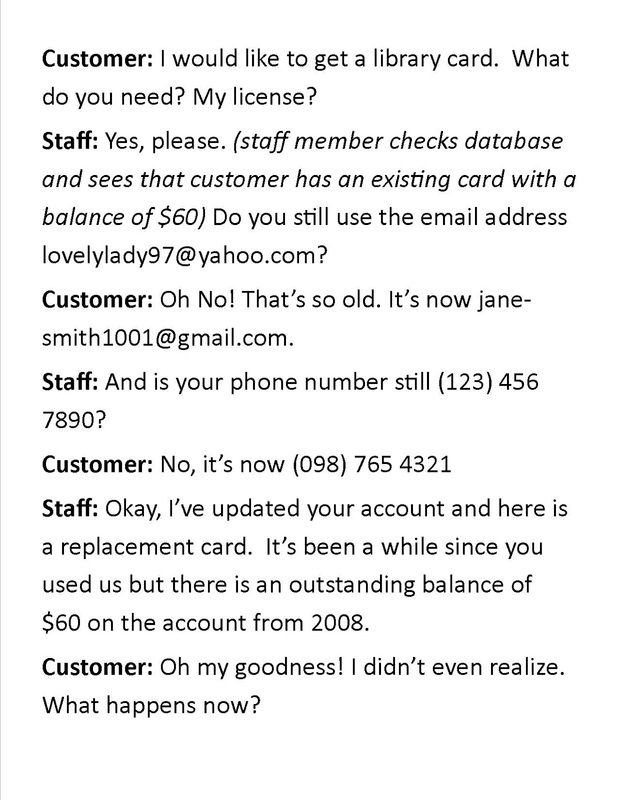 The conversation on the left almost always ends up with an upset customer, a disenchanted employee, and a manager that has to clear all the fees because it's just better to take the customer at their word in situations like this. The conversation on the right, however, plays a good offensive game because the staff member uses offensive tactics to keep the transaction conversational instead of accusatory. The customer on the right may go on to argue about the account fees but chances are the staff member will walk away from the transaction in the same spirits as he/she entered. Why? Because staff didn't give the customer an opportunity to tackle. Do you have other tips or tricks for getting the best out of you customers? I'd love to hear them!